Thanks for visiting Off Road Range Rover. This website is an emerging destination for Perspective Range Rover Owners, Range Rover Owners and Range Rover Mechanics who seek Range Rover buying guides, off road range rover buyers guide, DIY Info, trail runs, reviews on accessories such as the IIDTOOL BT. Check out our recent updates about terrain response in the real world and other Range Rover off road techonology, upgrading the audio in a 2006 Range Rover, our method is a gut and install so it is applicable to almost any Range Rover L322, Range Rover Sport, Range Rover Evoque, Range Rover Velar, Range Rover P38a, and Range Rover Classic. Please read our Range Rover Radio Navigation Head Unit and Range Rover Amplifier posts. Order our new eBook “Cliff’s Unofficial L322 ‘Full Fat’ Range Rover Buyers Guide: From the Publisher of OffRoadRover.com“ to support the site and learn about the best configuration of the L322 Range Rover. I thought this book was essential because the L322 is an amazing car on and off road if properly configured; unfortunately, it can also be an unfinished albatross if the wrong power-train is purchased. The off road ability of the L322 is largely dependent on power-train and differential configuration with earlier models using torsen center differential and an open differential which switched to an electronic locking center differential and optional rear differential which took the Range Rover to all new heights off road. Off Road Rover leans on and appreciates the value of such great sites and clubs such as Solihull Society, Full Fat Range Rover, RangeRovers.net, without which owning a Range Rover would be less exciting and more difficult. Solihull Society has great runs and members and is host club for the Land Rover National Rally. RangeRovers.net has particularly detailed information for classics up to early L322s, they have range rovers buyers guide for years up until 2009, we have continued with Range Rover buyers guides post 2009 and will continue to develop this area of focus. 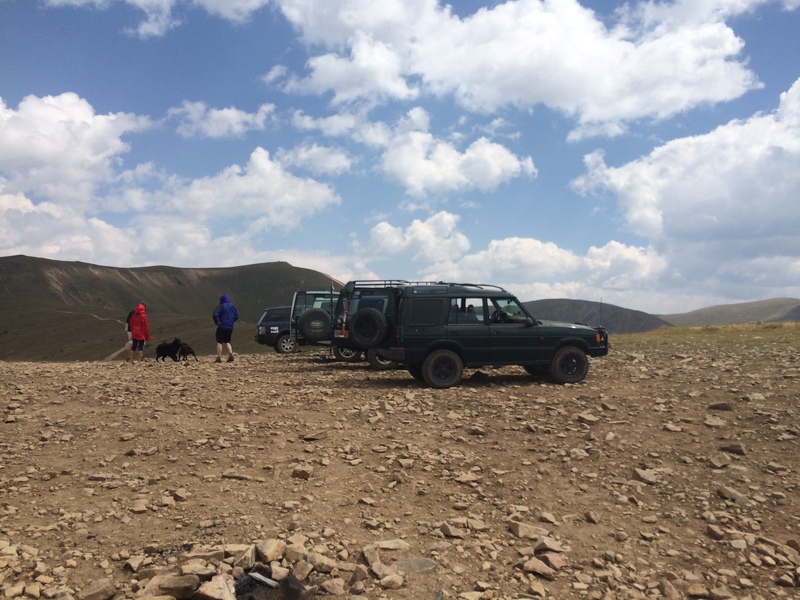 Full Fatt Range Rovers has a great forum and wiki which as focuses on l322s and l405s. 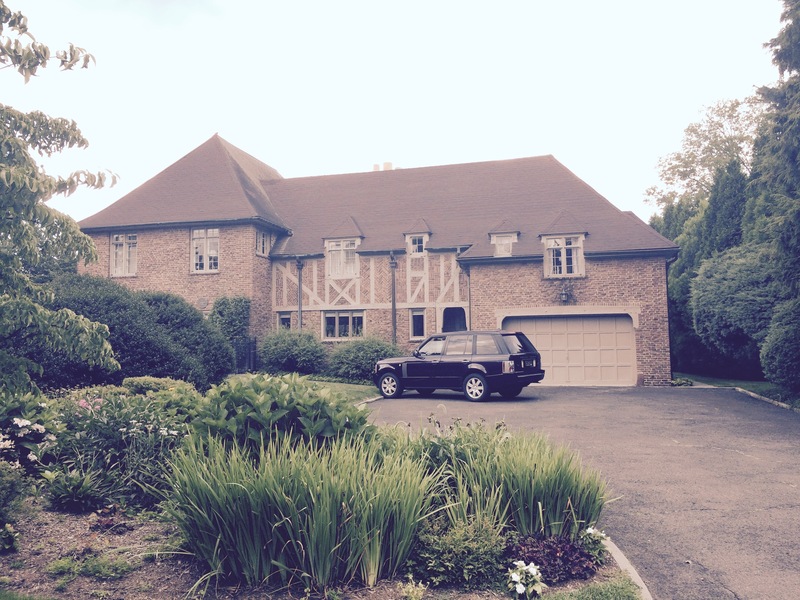 There are many great range rover sites out there so we will build out a hand selected index in the future. The Range Rover was introduced in 1970. The Range Rover is an icon. It was the first Land Rover introduced to the USA as under the corporate badge: Range Rover. In few cases this legacy carries forward for example the Maryland Range Rover Proving ground. The Range Rover was in many ways the beginning of a paradigm shift, inventing and using luxury offroad features. From the beginning the suspensions have been innovative as well as providing luxury “when the road does not.” Puddle lamps helped you see what you stepped on to, headlamp cleaners wiped mud off so you could continue to drive offroad at night. Air springs supplanted the coils and provide an even better offroad road ride. In 1981 the 4 door version of the Range Rover Classic was released to great fanfare. The P38a furthered the Range Rover Classic in an evolutionary fashion. Further the facelifts to the P38a were minor in nature. The P38a was a body on frame live axel electronic air suspension beast. She was held back by slight excess weight and the lack of a true center locking differential and a limited or locking rear differential, however, Land Rover did pioneer the 4 wheel drive electronic traction control at the time. The P38a is roughly equivalent to the Jeep Wrangler, which is Jeep’s best off road base model, the g500 and HMVEE were better off road. Land Rover arguably learned much from both BMW and Ford, so the jump from the P38a to the L322 was revolutionary. The L322 is an off road monocoque electronic air suspension vehicle in later versions with a electronically locking center and rear differential with low-range. The electronic units locked up faster than the viscous coupling center differential of the p38a and with more authority. The rear locker is a welcome addition to the Range Rover, however, it was limited to only 100 torques of lockup differential, which could be improved. Especially in the later examples the L322 represented a significant leap in offroad ability and luxury over the p38a. The L322’s articulation combined with the center and rear e-lockers put this truck on far better footing than most when the traction gets low. The L322 received 2 major facelifts, the Jaguar L322 improved reliability significantly with a different philosophy of interior and modern running gear, the second “tata” upgrade dropped two new v8s in the L322 in the USA with plenty of grunt, a jaguar land rover collaboration from the beginning begets an impressive engine pairing to the L322. A 4.4L Disel was also introduced in other markets paired with an 8 speed that people on fullfatrr.com love. The L322 with the 5.0L Supercharged was a fantastic pairing, that sprinted to sixty between 5.5 and 5.1 seconds as rated by various automotive magazine tests. The L322 went out with a bang with the unbelievable Autobiography Ultimate, which improved the rear cabin to ultra-first class complete with dual ipads, a keyboard/desk, two champagne flute holders, and a champagne cooler. The later L322s are truly fantastic. These were supplanted by the all aluminum L405 introduced in 2013. The L405 aluminum diet shed about 500 pounds off the L322, though official numbers are higher. Range Rover buying is not for the faint of heart or weak of faith, read our Range Rover Buyers Guide to understand the best model years for the L322. The Range Rover Buyers Guide is a great read since the reliability can vary greatly even within the same body style. For example on the L322 Range Rover, the 03-05 had great promise, but the looming sale meant that the Rover was delivered with older running gear such as the troublesome ZF 5-Speed. For those that want to off road, check out our new Off Road Range Rover Buyers Guide. 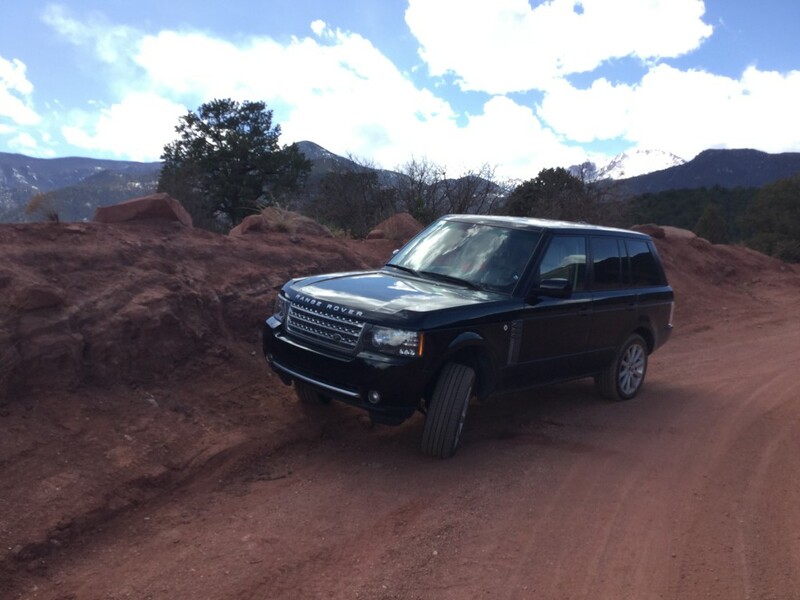 This forum mainly focuses on Off Roading Range Rover‘s in Colorado and Arizona, following some of the trails found on traildamage.com. 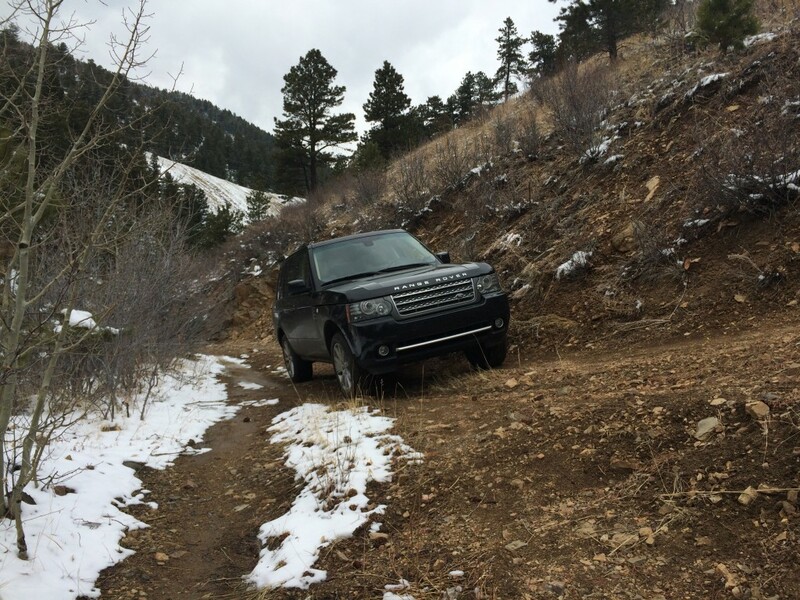 The Range Rover can run approximately level 5-6 trails at the maximum in stock form, driven by a competent operator as rated by traildamage.com. Most stock 4x4s with low range will run approximately 3-4, regular 2wd cars can run 1s, fully built trucks will be needed for anything above an 8 on traildamage.com. Read more in our NEW guide to offroading.